A mother's love is precious. 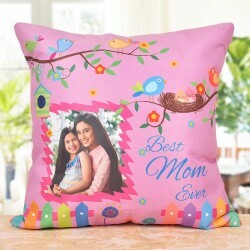 Make her feel special with our Mother's Day special gifts to Delhi online. 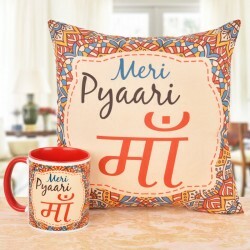 Choose from among our huge den of adorable gifts range to give a big smile on her face on this special day. Buy and send them anywhere in Delhi. Falling on the 13th of May, Mother's Day is the perfect day to pay tribute and acknowledge the love of your dearest mother. Honor the unconditional love and sacrifice of your beloved mother this Mother's Day by sending a huge den of adorable Mother's Day flowers to Delhi as a token of appreciation. Right from Roses, Gerberas, Lilies, Carnations, Orchids, Tulips, Daisies, Sunflowers, Chrysanthemum, Bird of Paradise to Gladiolus (Glads) and Mixed Flowers, we have a plethora of exquisite flowers and flower arrangements to amaze her. Choose our flower bouquet delivery to Delhi and surprise her on the wonderful occasion of Mother's Day 2018. It's true that you cannot really repay her in any way no matter what. 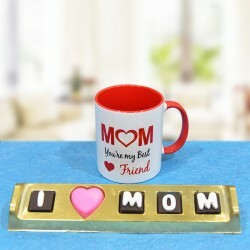 Though you can always send her a fascinating gift that create beautiful moments of surprise. 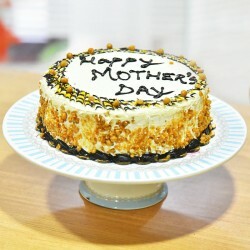 Do your bit by delivering from among our most adorable Mother's Day cakes to make their day filled with exciting moments. 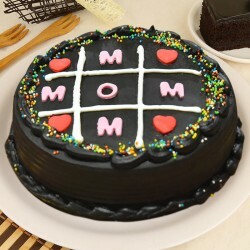 Send her lip-smacking cakes this Mother's Day in Delhi and make her day super special. Whether she lives in Vasant kunj, Chanakyapuri, Defence Colony, Golf Link-I, Kailash Colony, New Friends Colony, Panchsheel Park, Dwarka, Shanti Niketan, Patel nagar or Connaught place, we will deliver your chosen gifts in the most pristine conditions. 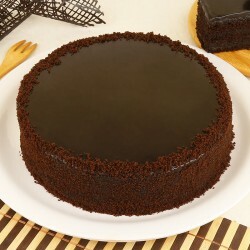 You can choose from our Eggless and Sugar-free cake variety as well. 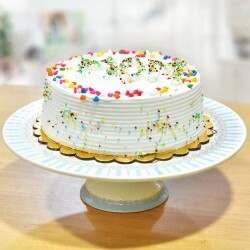 We never compromise on quality and our custom delivery options will help you send Mother's Day cakes online at your preferred time slot. What more do you need?! Our custom delivery options include Same Day delivery with delivery on the very same day itself, Midnight Delivery for a augmented surprise on Mother's Day and Fixed Time Delivery to deliver within a particular time frame. Choose our Express Delivery option to deliver in just 3 hours! The love for a mother is beyond compare. 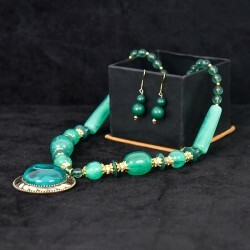 Send gifts that fascinate her and let that loving smile linger on her beautiful face all day long. 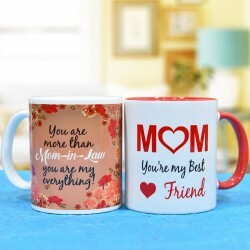 Our personalised Mother's Day gifts collection includes Aprons, Personalised ceramic Mugs, Photo Frames, Personalised printed cushions, Wooden Plaques, Granite stones, and so much more! 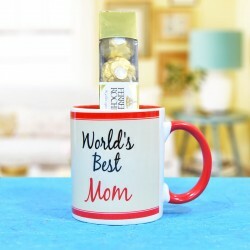 Our other Mother's Day gifts consist of Mother's day card, spa hampers, scented candles, Mother's day chocolates, Green plants, Loving mom Mug, Mother's day Gifts hampers, aprons, to name a few. Pick from among them and send it to your loving mother anywhere in Delhi. 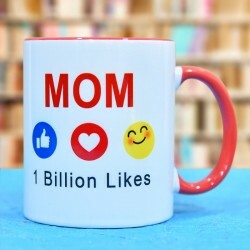 Apart from Delhi, you can also send Mother's Day gifts in any other city in India as well, including Mumbai, Kolkata, Chennai, Bangalore, Noida and Gurgaon.